An exhibition of the community project Villagers, by photographer Ben Blossom, that explores the ‘village’ concept that inspired the Brunswick Centre’s original architect, Patrick Hodgkinson. Passen-gers is pleased to announce Villagers – an exhibition showing the results of a community photography project by Ben Blossom hosted in the nearby Brunswick Residents Association’s, Residents Room. 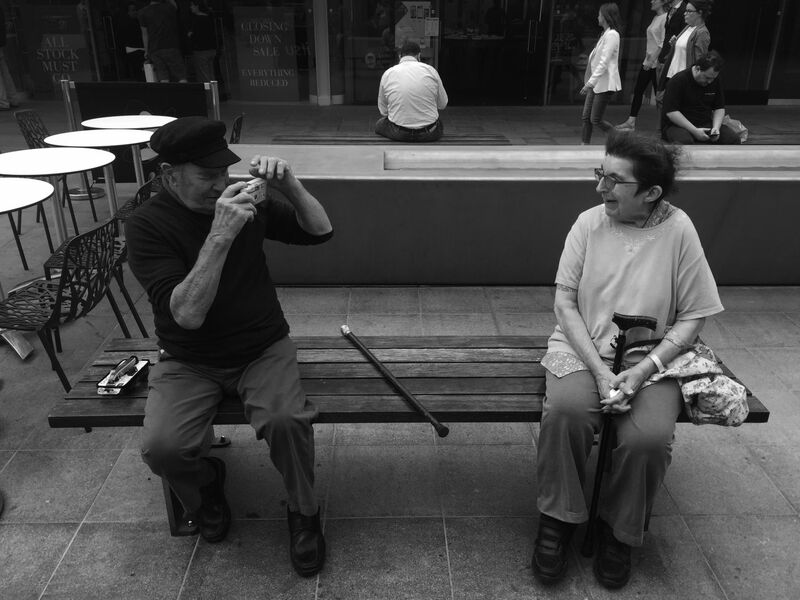 Villagers explores the ‘village’ concept that inspired the Brunswick Centre’s original architect, Patrick Hodgkinson, by asking residents and users of The Brunswick Centre to document each other using disposable cameras. Each camera, through its various exposures, marks out a network of individuals, known or unknown to each other, linked by their presence in this particular architecture. The result is a collective portrait that aims to capture the social identity of The Brunswick Centre. Hodgkinson viewed architecture as a humanist profession that could provide a ‘life-giving sense of spirit’. He provided the communities that use The Brunswick Centre with a building that offers a pedestrian ‘street’ and a residential platform with communal areas elevated from the city bustle. These spaces offer stages for interaction that are observed and celebrated through the Villagers project. Alongside the photographs testimonies by project facilitators and participants will be displayed to further reveal the dynamics behind the portraits. Inspired by the notion of ‘civil inattention’ proposed by American sociologist Erving Goffman, Villagers – as with Blossom’s previous projects such as Free Smile and Bethnal Green Gardens’ Courts – uses the camera as a tool to facilitate exchange and explore the social relations that a place or architecture might foster. Ben Blossom is a photographer who explores and documents the built environment and its people and places. Ben has been commissioned by clients including Kings Place, The Canadian High Commission, Design Council, Wallpaper* Cityguides and several architectural practices. Ben is also a contributing photographer for Architects’ Journal.